Hello, friends! It's been a while! 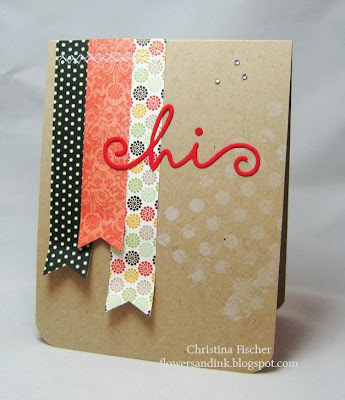 I decided to blow the dust off this blog and get stamping -- it's been waaaaaay too long! I had the best of intentions to stamp during the summer, but that just didn't happen... Thankfully, these cool fall days have inspired me to get "homey" and crafty once again. I definitely went with an autumn color palette on this card. Papers are from the Lost and Found Two: Sunshine 6x6 pad by My Mind's Eye. The sentiment is from MFT's Chalkboard Greetings. I used the chalkboard technique on the tag. The edges of the papers were distressed. Hi there, friends. I hope you all are well! It's been quite a while since I've been crafty. I miss the days when I was on a design team, and I had a reason to get out the paper, stamps and dies on a daily basis. Now it's too easy to let the other "stuff" of life come before my need to create. But today I took a little time for me, and I'm back with something clean and simple. I finished the card with rounded corners, zig-zag stitching, and a trio of adhesive rhinestones. It was quick and easy! That's all for now! I'll be carving out more crafty time, so I'll be back with more to share with you soon. Thanks so much for stopping by! Happy Sunday! 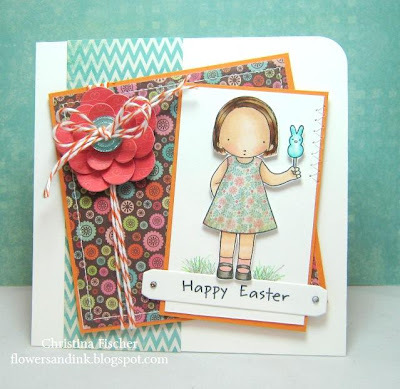 It is finally feeling like spring around here, so I created a spring-like card for today's post. I used MFT Wednesday Stamp Club Sketch #118 for the layout, and patterned papers are from Blossom Soup by Jillibean Soup. 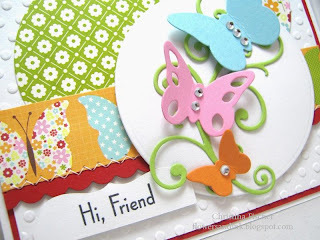 The Die-namics Butterflies were cut from Berrylicious, Cotton Candy, and Orange Fizz cardstock, and the Fancy Flourish was cut from Sour Apple cardstock. The sentiment is from Inspired by the Front Porch. I embellished with adhesive rhinestones, some zig zag stitching, and a trio of glitter dots. Today is our last day of spring break -- it's back to school tomorrow! I am going to enjoy our beautiful weather before I get started on those lesson plans! Hi there! 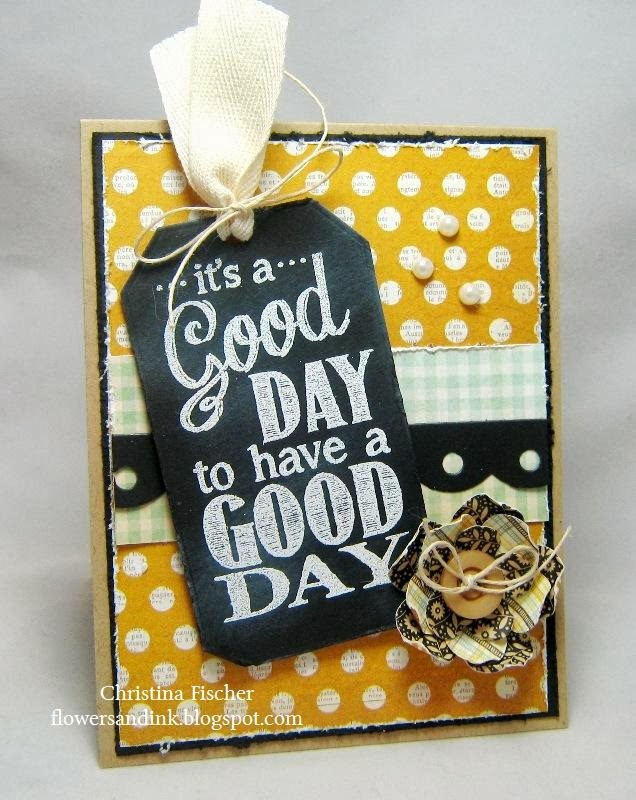 Happy Tuesday to you! Today's card is one that I made for Caroline's friend for her birthday. 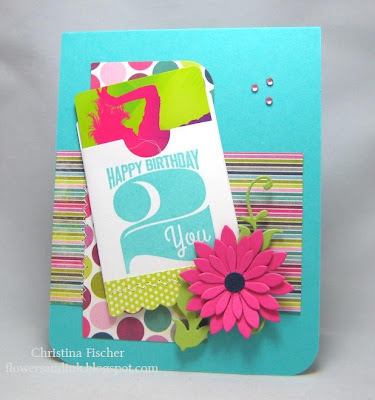 I love the way these colors and dies came together to create a fun design! I used MFT Wednesday Stamp Club Sketch #116. The MFT sketches are always a go-to for great layouts! Hello there! I hope you had a very happy, blessed Easter. We had a wonderful day with family. The girls and I are on spring break this week, so I'm counting on lots of crafty time! 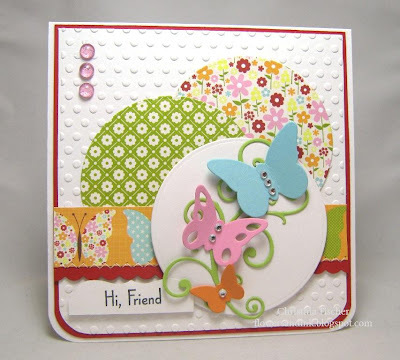 Here's my card for the latest MFT Wednesday Stamp Club sketch. 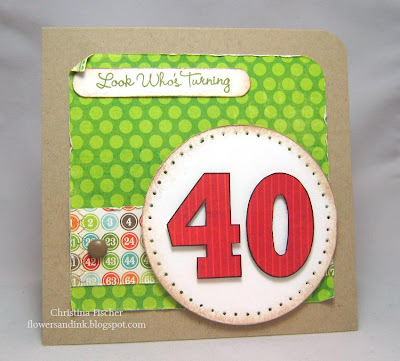 You can find all the details HERE on the MFT Forum at Splitcoaststampers. I kept things pretty clean and simple on this card. I sponged around the circle and sentiment with Kraft Premium Dye Ink, then I added some distressing, piercing, and a tiny bit of zig zag stitching. These Fly a Kite 6x6 papers (My Mind's Eye) are so much fun -- I find myself using them a lot lately! That's all for now! Thank you for stopping by to visit today! Hi there! I am still floating on Cloud Nine after my time as MFT Guest Designer -- I had SUCH a blast designing with my friends on the amazing MFT Team! I'm back today to share one final card as my month comes to an end. 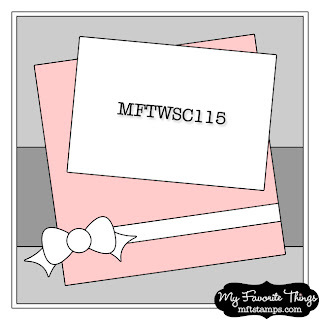 It's for today's MFT Wednesday Stamp Club. 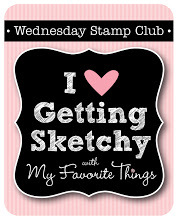 You can find this week's sketch and all the fabulous WSC sketches on the MFT Forum at Splitcoaststampers. 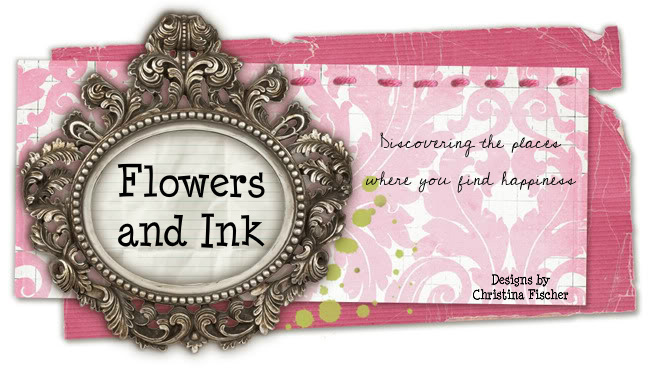 The papers are from the Fine and Dandy: Tickled Pink 6x6 pad by My Mind's Eye. I love how the bold patterns pop against the Whip Cream card base. I stamped the image on X-Press It Blending Card and colored with Copic markers. I paper pieced her dress and added a bit of shading with the Copics. I cut her out and popped her up on dimensional boosters, then I used pencils to add some grass. Finally, I embellished with Pretty Posies, a Sno Cone Button, and some twine. Here's this week's sketch -- it's a great one! Upload your card to the Gallery at SCS using keyword MFTWSC115, and you'll have a chance to win up to $20 in MFT bucks! 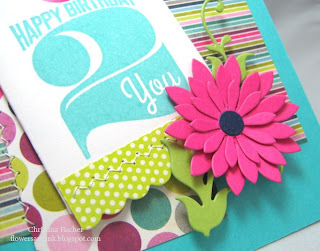 And, don't forget to check out the MFT Blog to see which designers got Sketchy this week!